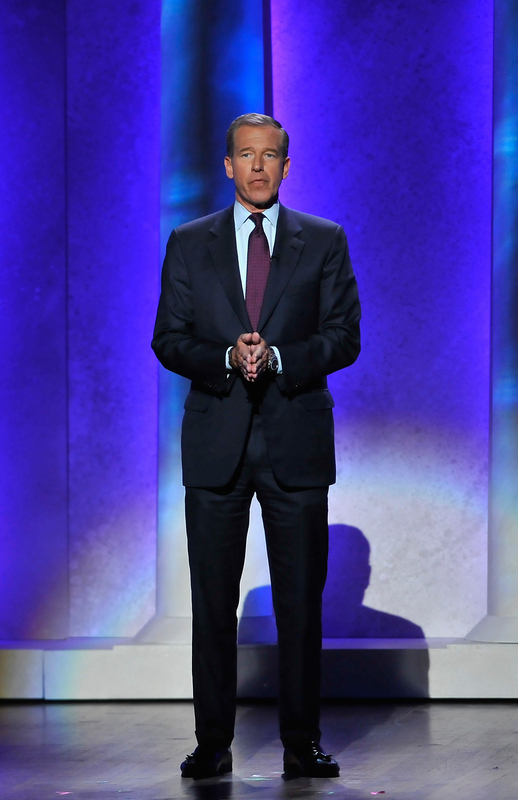 For months, it seemed like a foregone conclusion: Brian Williams' career at NBC News was surely over, right? It seemed almost impossible to conclude otherwise, considering the heat and scandal that came when his misrepresentations about his Iraq war experiences were discovered earlier this year. But now he's actually back on the air — Williams returned to anchor MSNBC's Pope Francis coverage on Tuesday afternoon, in his first on-camera appearance since February 6. So what has Brian Williams been doing in the time between? The future of the once-beloved Williams is undoubtedly occupying the mind of the general public. But six months is a long time out of the spotlight for somebody who was as ubiquitous a media presence as Williams once was. He would move between the worlds of ostensibly reliable news and late-night comedy with ease, and he had a reputation as one of the funnier, more self-effacing anchors in the business. Having to drop off the air for months, in other words, was probably a sizable shock to the guy's system. But you wouldn't necessarily know it by virtue of the low profile he's kept throughout the whole thing. He never appeared on TV during his NBC suspension, and was only sparingly spotted in public. This is Mater Dei. It’s been a very, very important part of my life. I had four great years here. I did not know it then, but it was the last degree I’d ever earn. It’s a wonderful school, and it should be open for a long time, for everybody. The Mater Dei appearance was in March, and weeks later in April, he was spotted out and about, this time celebrating his daughter Allison's birthday with her and his wife. In perhaps the most humanizing image we could've gotten of Williams at that point, he was photographed playing with Allison's adorable dog. Which is almost enough to make you forget all that pesky fake helicopter-under-fire business? Maybe? According to The Washington Post, he also helped out with the preparations for Allison's wedding, which went down on Monday. You might recognize her by virtue of her role on HBO's Girls — she plays Marnie Michaels. If this seems like pretty run-of-the-mill, low-key stuff — playing with dogs, trips to the store, a wedding in the family — it is. And that's probably by design; there really hasn't been much for Williams to do but wait until he can get back on the air and start working to repair his sorely damaged reputation. It speaks to the uncertainty surrounding his future that he isn't getting his old job back — the one with the millions upon millions of nightly viewers. Rather, he's returning to TV on MSNBC, as part of a major reshuffle for the cable news channel. It'll be interesting to see whether he's easily forgiven or if his past fibs come back to haunt him. Tuesday afternoon is your first chance to take a look for yourself, and see how you feel about it.